A perfect home for family gatherings! the Master Bedroom and Living room. Wireless service with AT&T service. twin beds into a king size bed. New flat screen TVs with DVD in 2 of the bedrooms and the living room. A TVs with VCR is in the children's bedroom. Don't hesitate for even a second to rent this lovely home. My family stayed for three days and loved it. 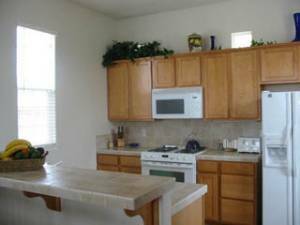 It is truly a "home away from home" with too many amenities to list...everything you may need, from a amazingly well equipped kitchen to a two-car garage with remote control. 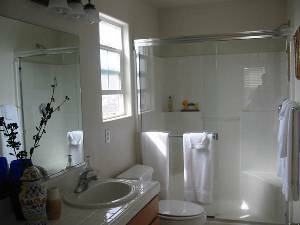 I have rented many places all around the US and overseas, and have never seen a cleaner rental home...it is immaculate ! Our daily "outings" included Morro Beach, Avila Beach, San Luis Obispo, and Solvang, including Santa Ines mission. All were short, easy drives. There are also many local restaurants offering a delicious range of cuisines. So , if you're looking for a memorable vacation destination...book it now ! I want to start off by saying it is a beautiful house! VERY clean & lots of space. It's a very short distance to the beach. Great view & a comfortable stay! This house has it all! Spacious, exceptionally clean, abundantly stocked, great location and very comfortable... this is only the tip of the iceberg to describe this home. It's truly a home away from home, but the ocean views from the living room and master bedroom remind you that you are on the beautiful Central Coast and here to vacation. The home is secure and has a 2 car garage to protect your vehicle and provide privacy. The home has so many amenities, one being a fully, and I mean "gourmet", stocked kitchen including nice cookware, appliances, and beautiful dinnerware and barware for all your culinary experiences. The beds are very comfortable and everything works well. 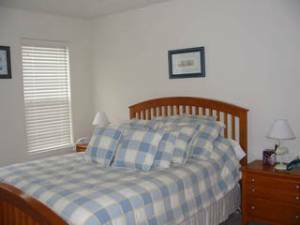 You are a 5 minute walk to Pismo State Beach and to nice restaurants. This home is centrally located so that such great destinations like Paso Robles wine country and historic and lovely San Luis Obispo are a short drive north on Hwy 101, and Danish Solvang and beautiful Santa Barbara are located to the south. And, don't forget all the quaint little towns and gorgeous beaches in between! We love this home and highly recommend it. You will not be disappointed. 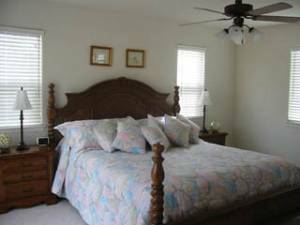 Thank you Ninette for sharing your vacation home. I am so pleased that my daughter referred me to your property since not only was it reasonably priced, it was very clean & convienant and exceeded my expectations and did not feel like a rental at all. I felt like i was at home with all the amenities and decor you have. We are looking at our calendars & look forward to staying again. 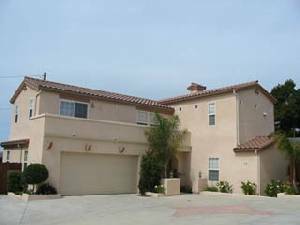 I was part of a group of 6 ( 3 couples) that rented the vacation home for a weekend trip to PISMO, the rental price was very reasonable and convienant. The place by far exceded my expectations,was clean and equipped with everything you could think of. In the morning I wanted to whip som eggs and thought for sure that wont be a whip and there wasnt 'A WHIP" there was 4 differents whips! It just did not seem like a rental at all.. The place deco and all the amenities really makes it feel like you are at home. Definitely will be back ! December 4, 2009 Reviewer: Judy From: Hugoton, Ks. This property is everything described and more. Very well stocked, quiet neighborhood, good location. The pictures don't do it justice. Our family and daughter's family of 4 all stayed here. The arrangement offers a nice privacy for two different families to reside together. I would recommend this listing to anyone wanting a great vacation to remember. This home is PERFECT! Great location, everything you need is there, and you feel like you're at home! We have stayed MANY times and will continue to do so! Thank you Ninette and Phil for truely, a home away from home! Thank you so much for such a beautiful stay. My family loved the weekend stay for our daughter's graduation. You have a great place with lot's of all the little extras. We are looking forward to returning in June for our next graduation. Thank you again for all your support and for opening your second home to us. You have a beautiful house. We really enjoyed ourselves. It was great to have everything we needed. Just like home without packing it up. A wonderful week-end in a spectacular beach house. This beautiful property far exceeds out expectations! This place is truly a slice of heaven. We feel like we struck gold with this place...we are planning our next trip. Thank You, thank you, thank you!!! We rented from March 10 to March 17, 2007. We thoroughly enjoyed ourselves. The house was immaculate and had everything we needed. It was not very far to the beach and very close to shopping. We saw many things and ate well. Being close to the ocean was quite a sight as we travelled up and down the coast. We loved vacationing in this house as it was only a 5 minute walk to the beach, a five minute drive to major shopping and it is located about 1/2 way between LA and San Fran. 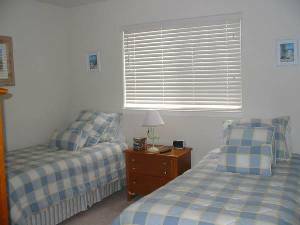 The accomodations were super comfortable, very spacious and exceptionally clean and new. We rented the beach house in July and we found the weather to be very pleasant and moderate on the Pacific coast. We stayed here and I really felt like I was home. We really enjoyed the stay. The house is equipped with everything you can imagine. The bedrooms are cozy. The kids enjoyed it. My husband and I have stayed here a number of times. (Both during the summer and winter months). It is our first choice in vacation rentals for the central coast. 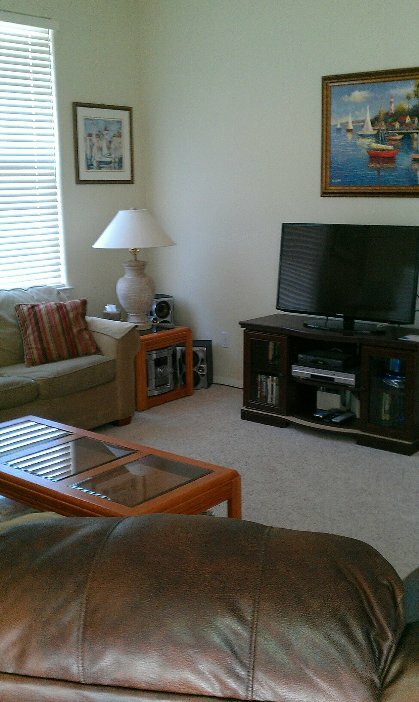 The home is very spacious and located very close to the beach. The owners have done a fabulous job decorating the interior. We absolutely love this rental! !